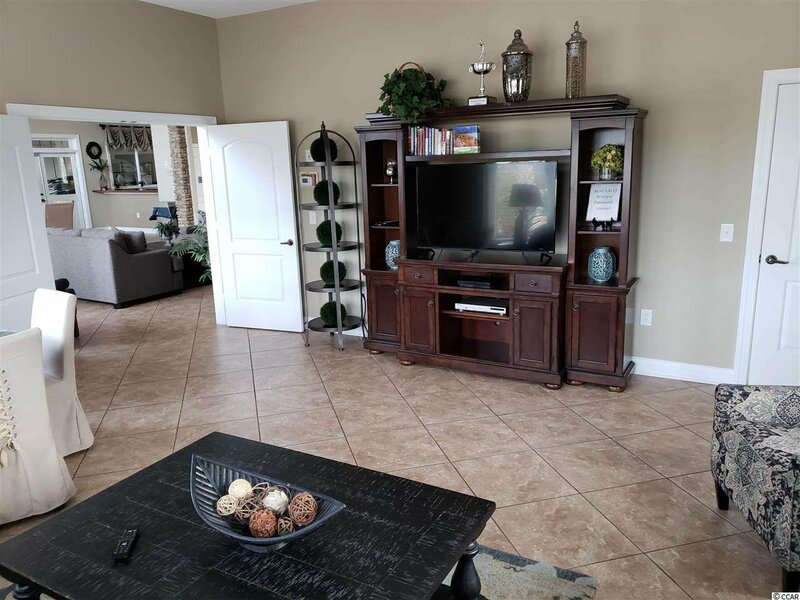 Living in this home is like living on vacation! 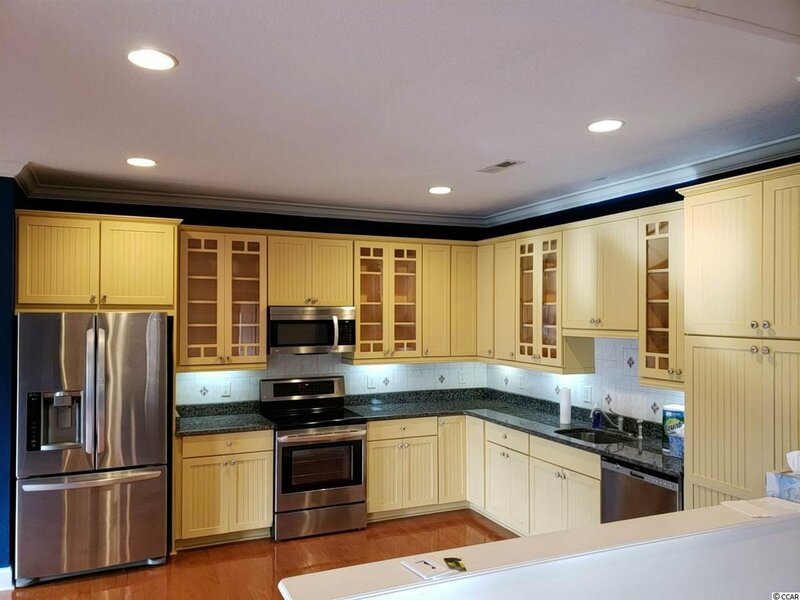 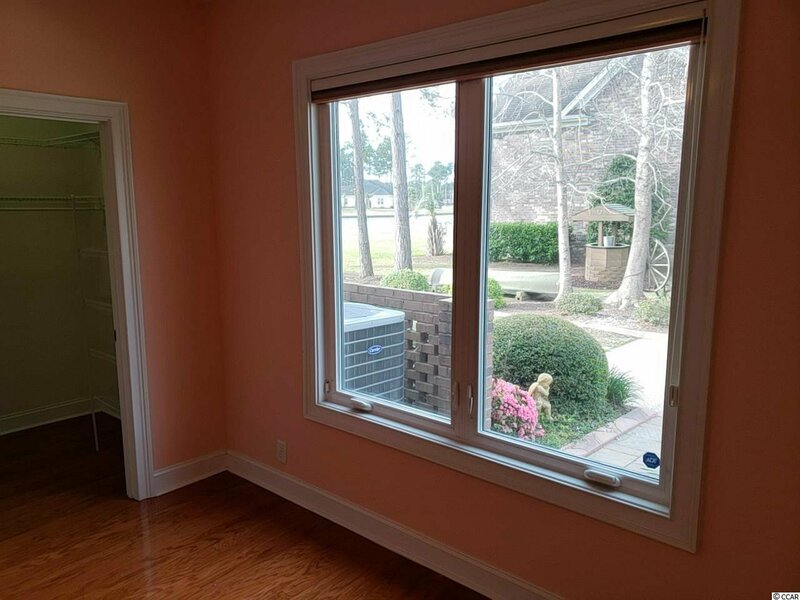 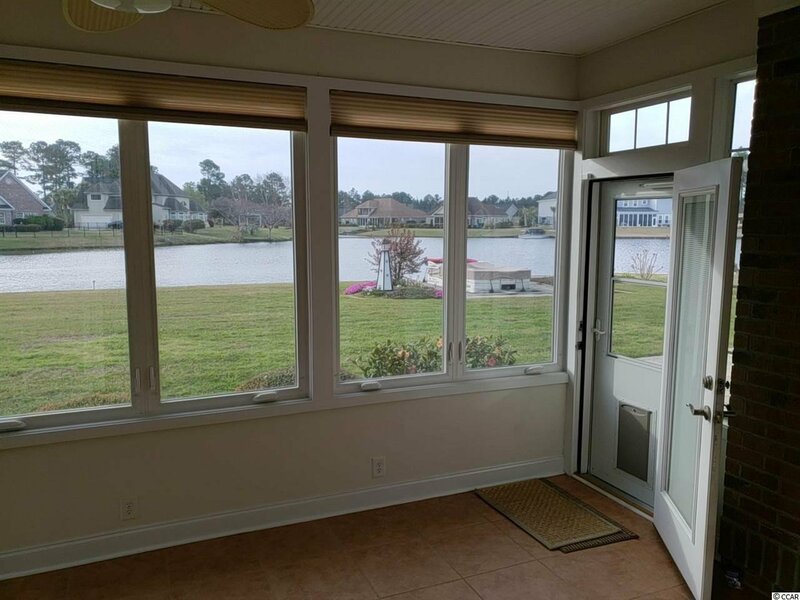 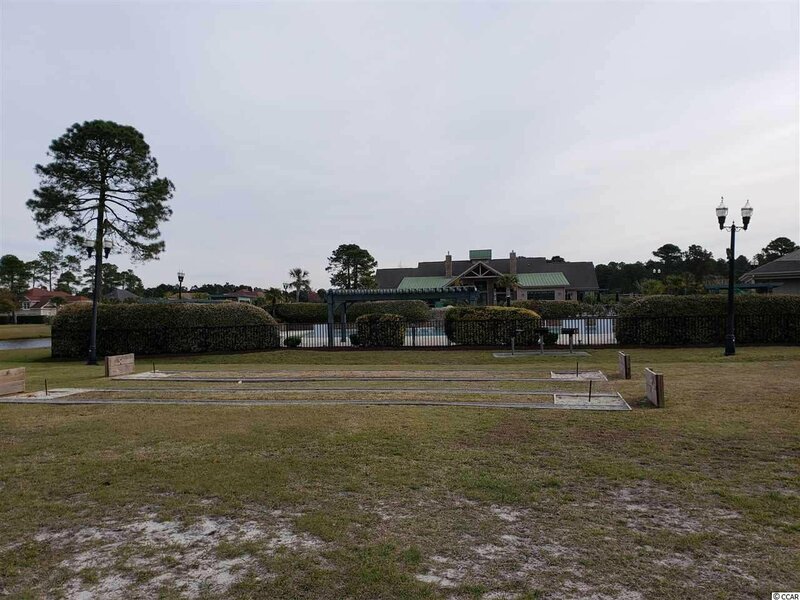 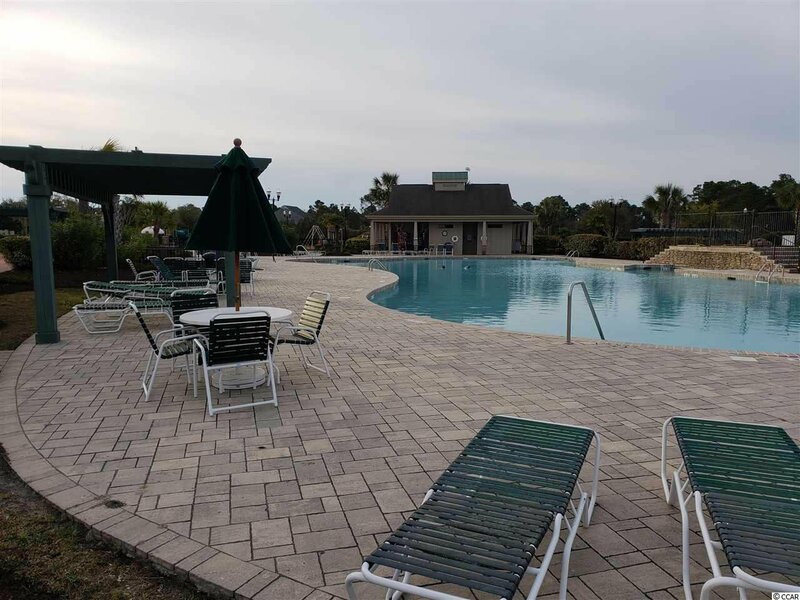 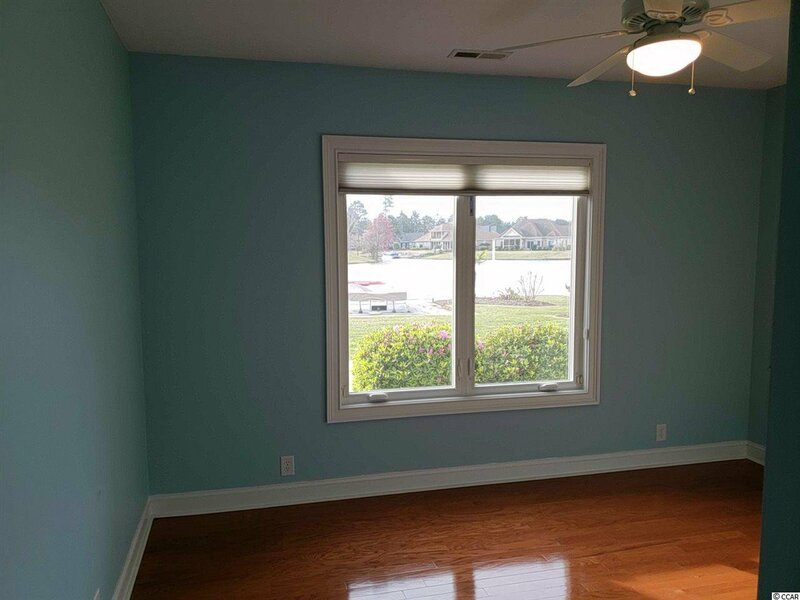 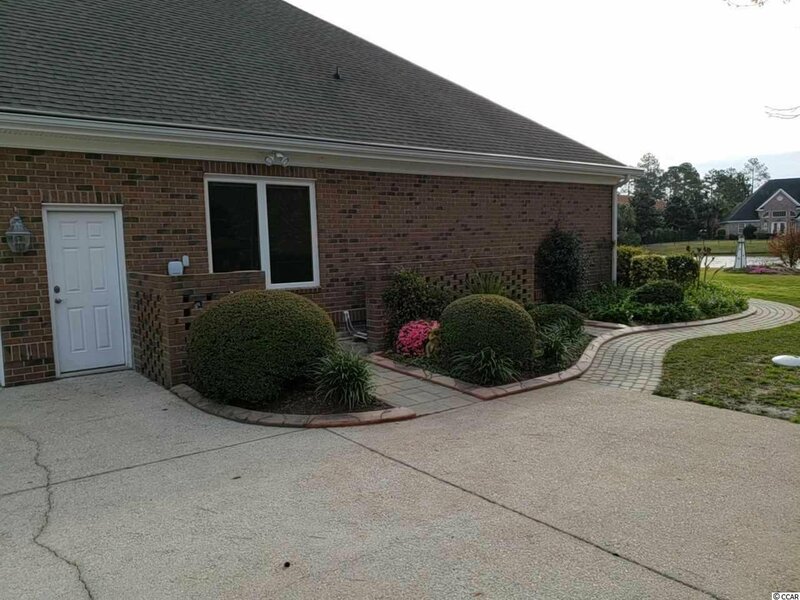 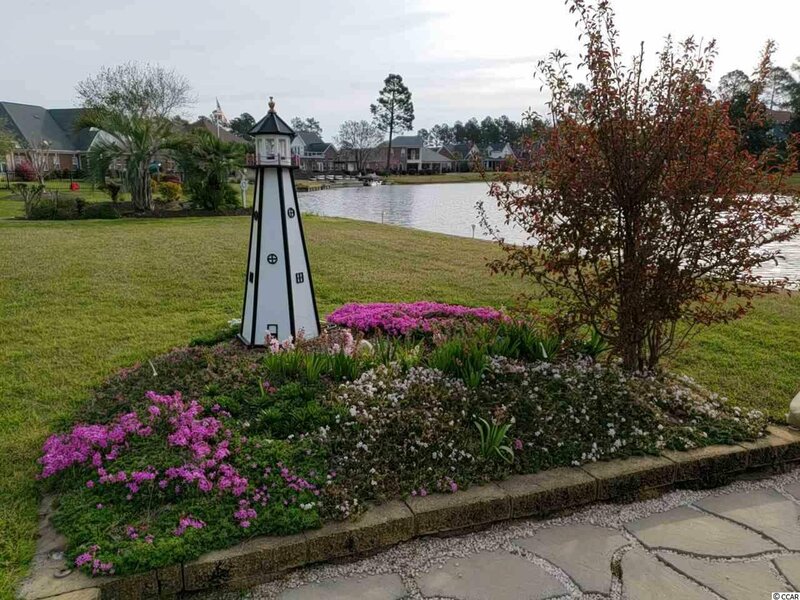 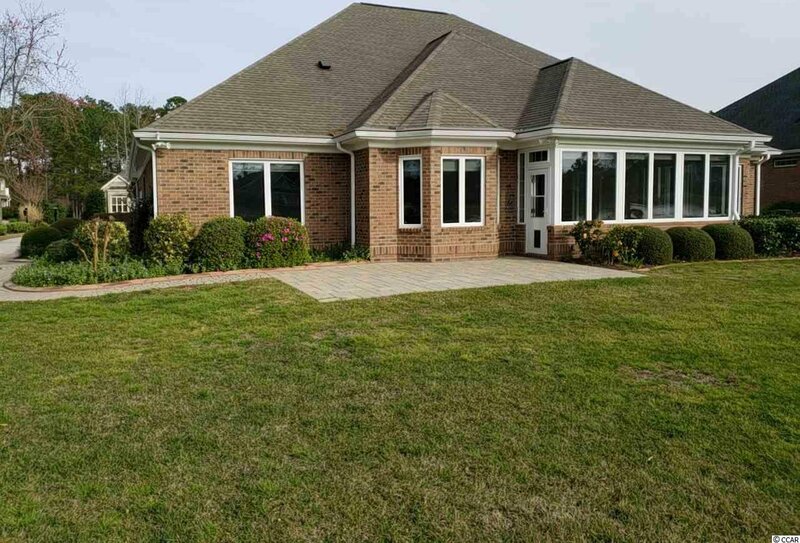 The home is located on a large navigable lake in Plantation Lakes a community with World Class resort style amenities in Myrtle Beach South Carolina. 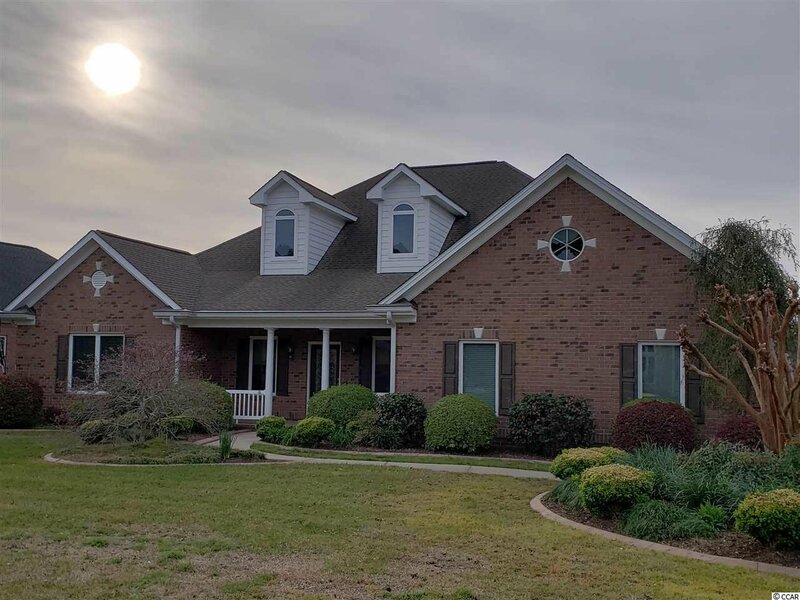 The home was designed to take full advantage of the gorgeous lake on property the master bedroom, massive great room, kitchen, dining room, 2 full size guest rooms all overlook the lake. 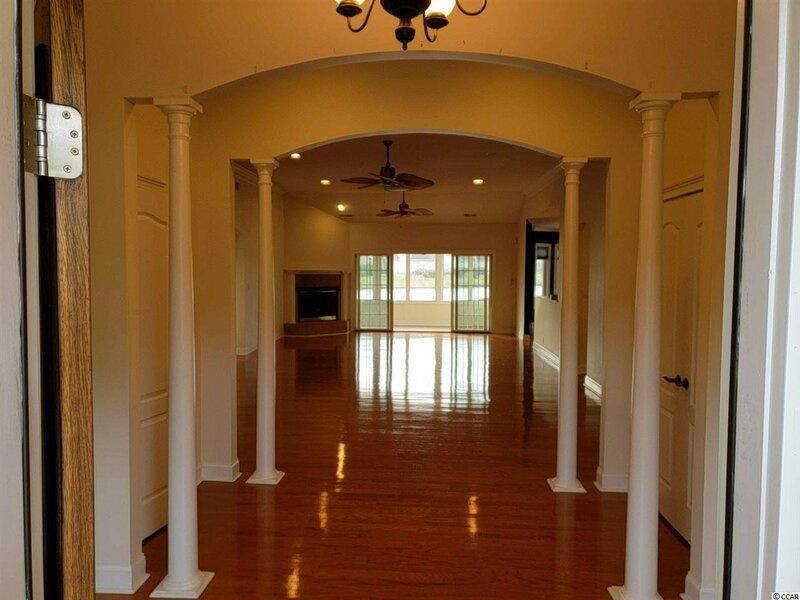 The owner designed this home with entertaining in mind formal columns and hardwood floors greet you just before your eye is stolen away through the all season sun room to the glistening water and your own private patio and boat dock. 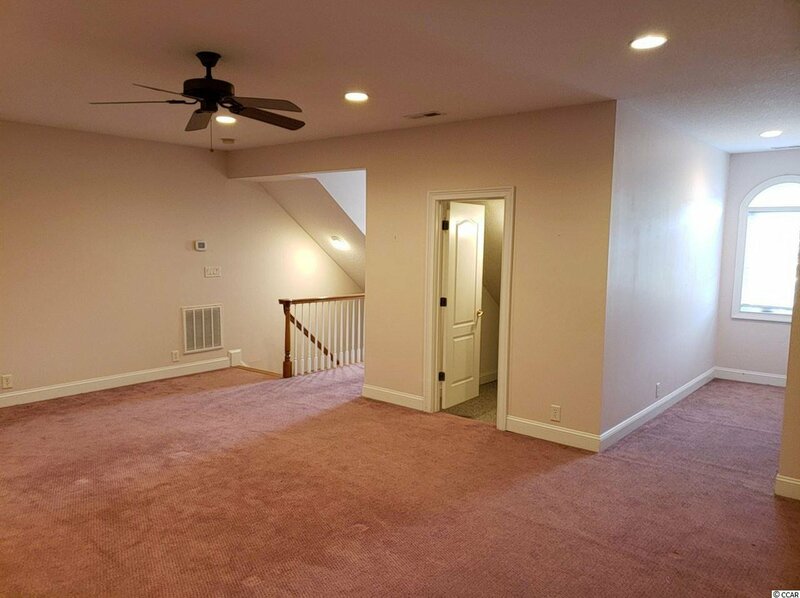 Plenty of "me" space in this split bedroom ranch home but do not forget the oversized upstairs bonus room that was utilized as a game night room that can be your full 5th bedroom or anything you desire with huge walk in closet, 2 windows to allow in plenty of light and own thermostat. 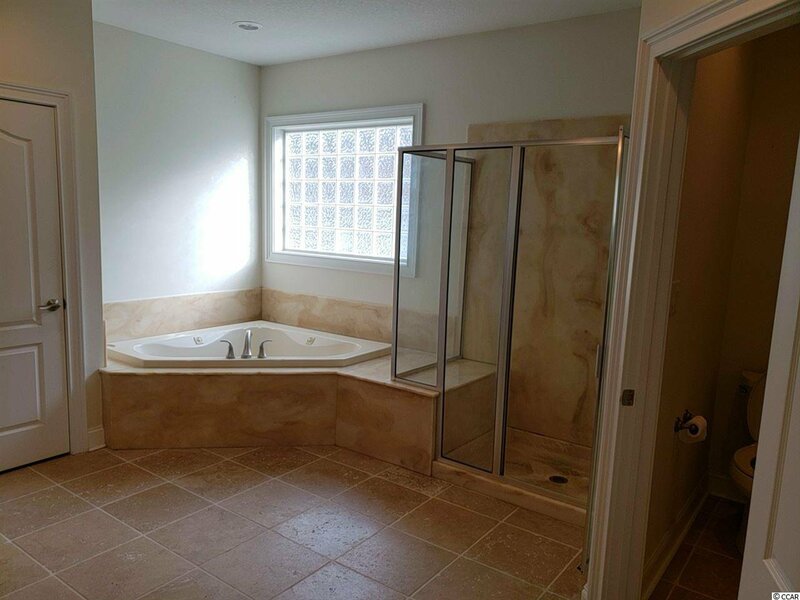 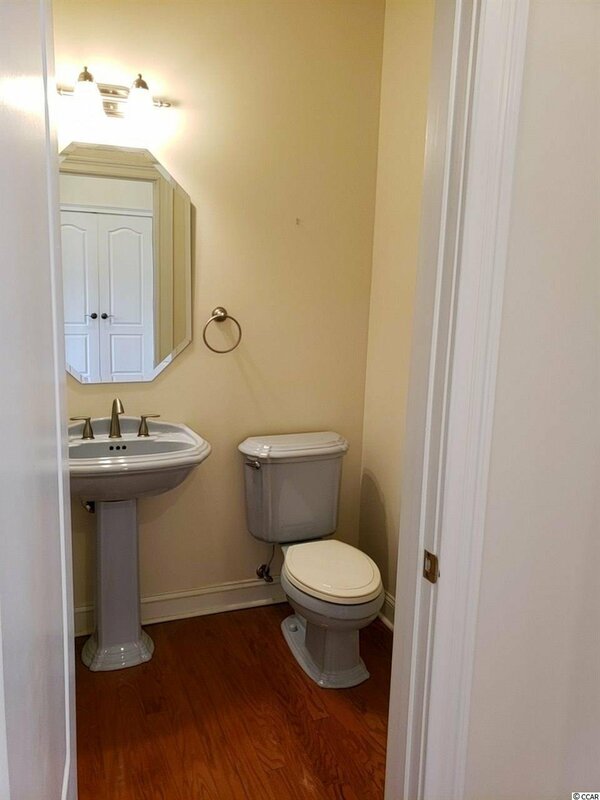 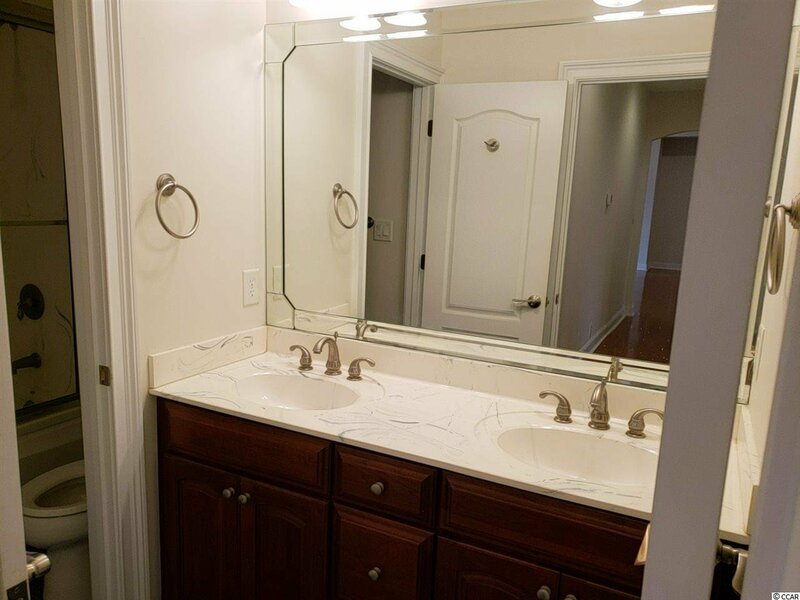 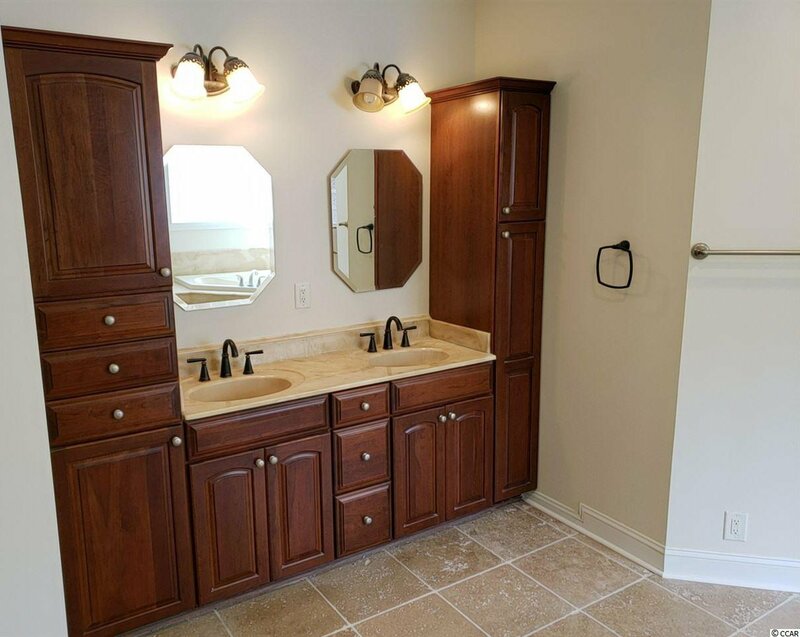 The guest side of the home has a full bath with dual sink vanity and private toilet room in between 2 large all hardwood bedrooms with large closets. 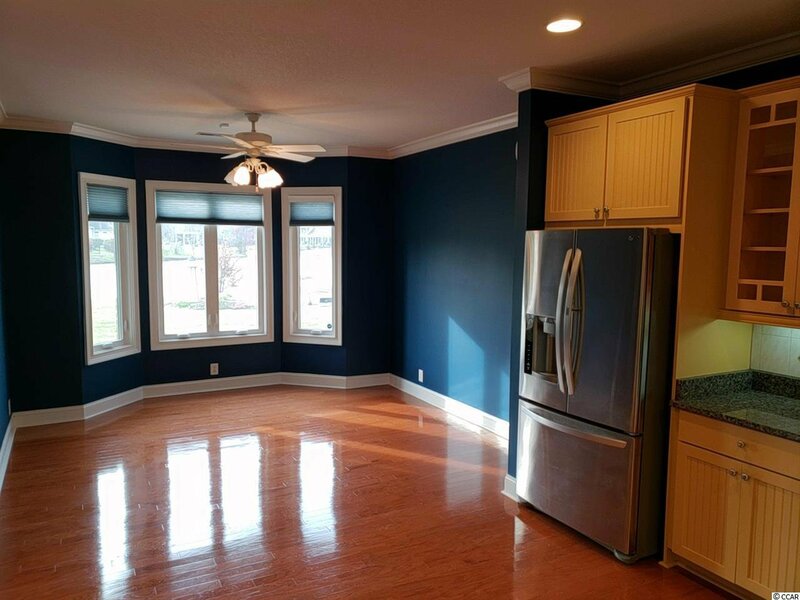 The Kitchen has granite counters, stainless steel appliances, custom cabinetry and pantry open to the great room and dining room. 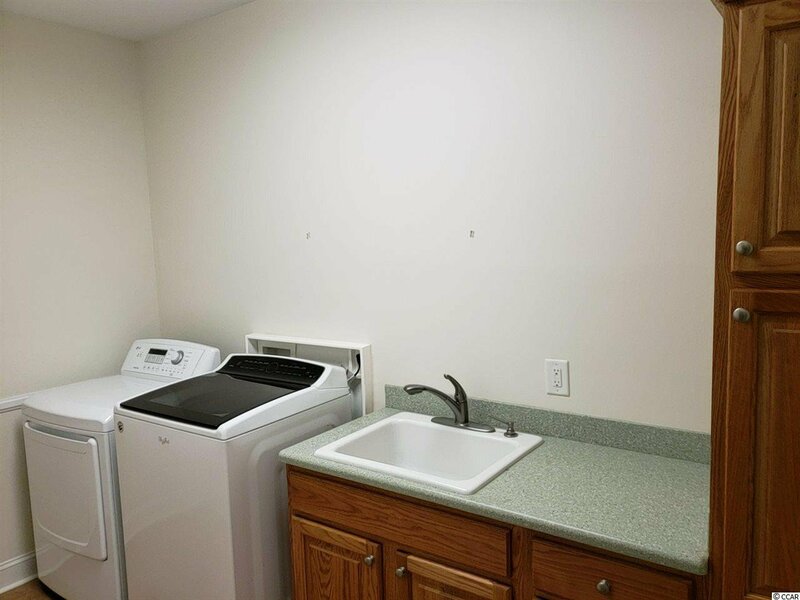 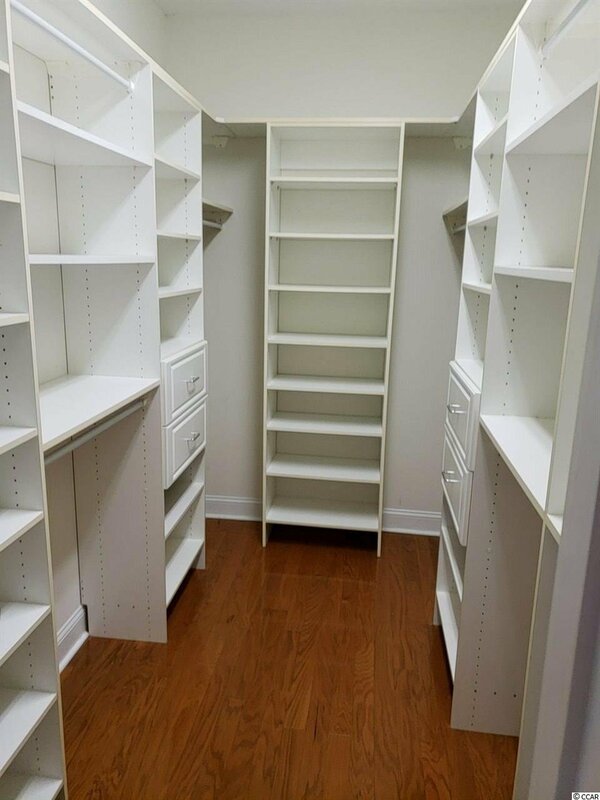 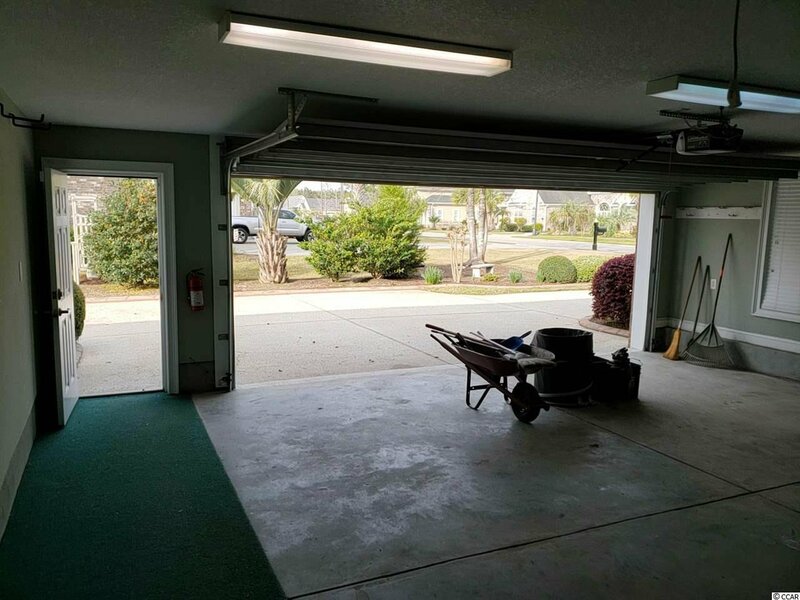 Just inside of the oversized attached 2 car garage with separate exterior door there is two more large closets for storage and a massive oversized walk in laundry room. 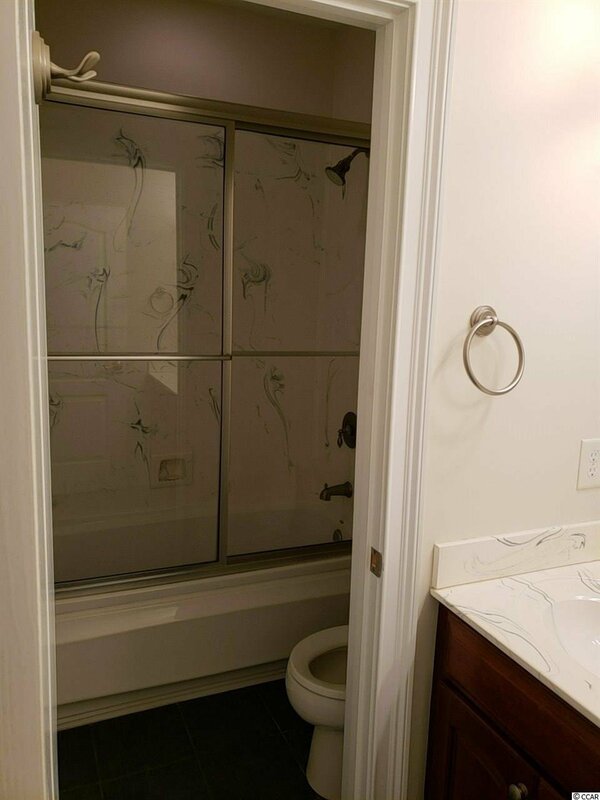 The master side of the home has abundant windows to take in the scenic views a large walk in master closet with built in shelving, automatic lighting, a large master bathroom with dual vanities, soaking tub, separate stand alone shower, linen closet, and even a private enclosed toilet room. 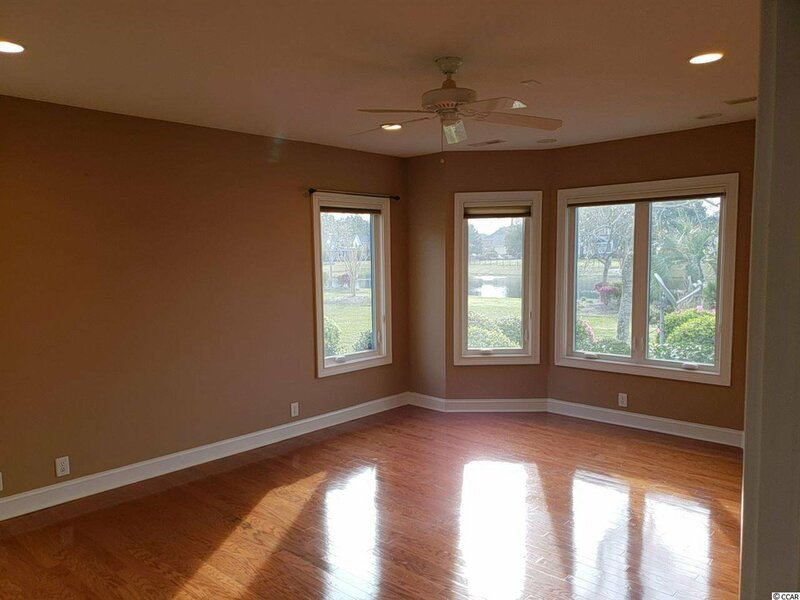 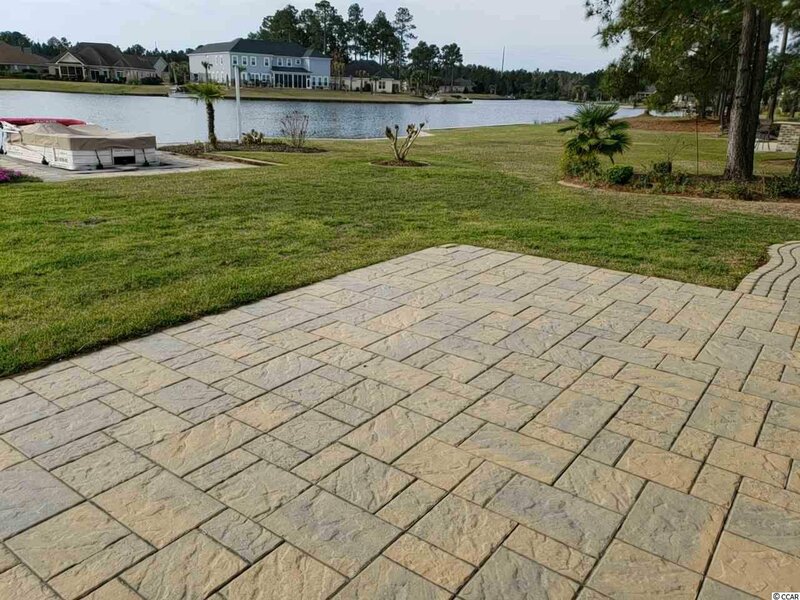 The exterior of the home is landscaped to the finest tastes: palm trees, flowering bushes and trees, paver sidewalk from the driveway all the way around the rear of the home to the brand new paver patio, custom brick enclosure around trash can and hvac units. 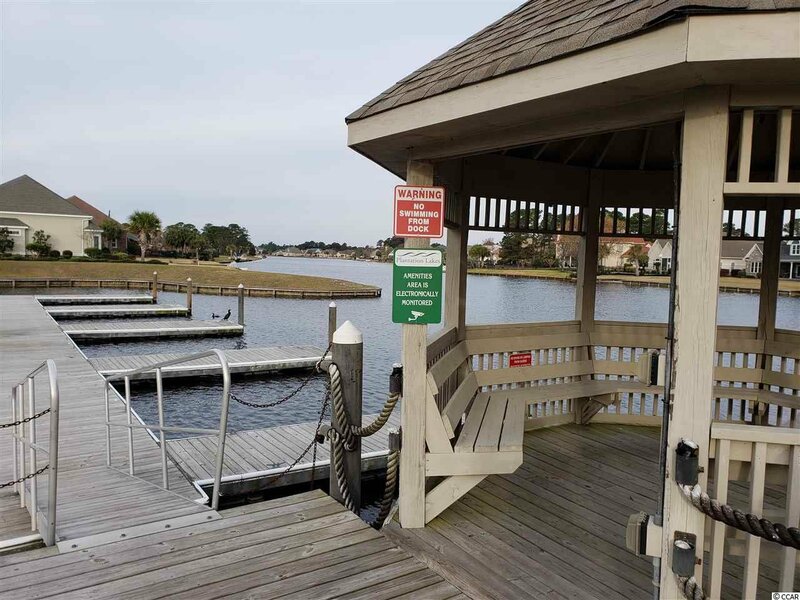 The rear of the yard boasts a boat dock and stone bulkhead directly in and on the lake. 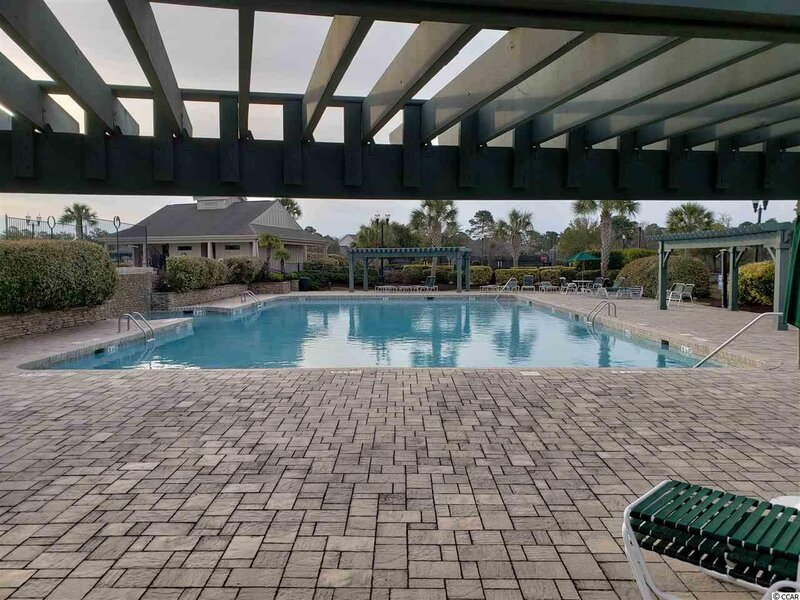 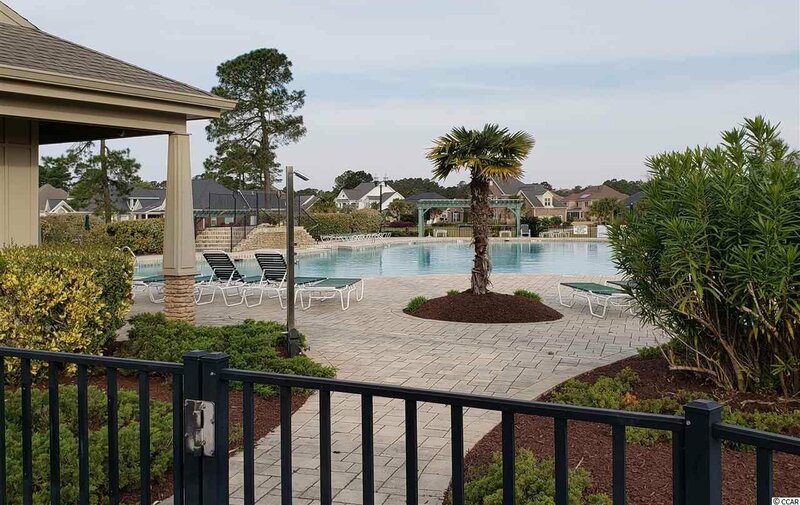 You must come in this home to see what living in a vacation can feel like right here in Myrtle Beach! 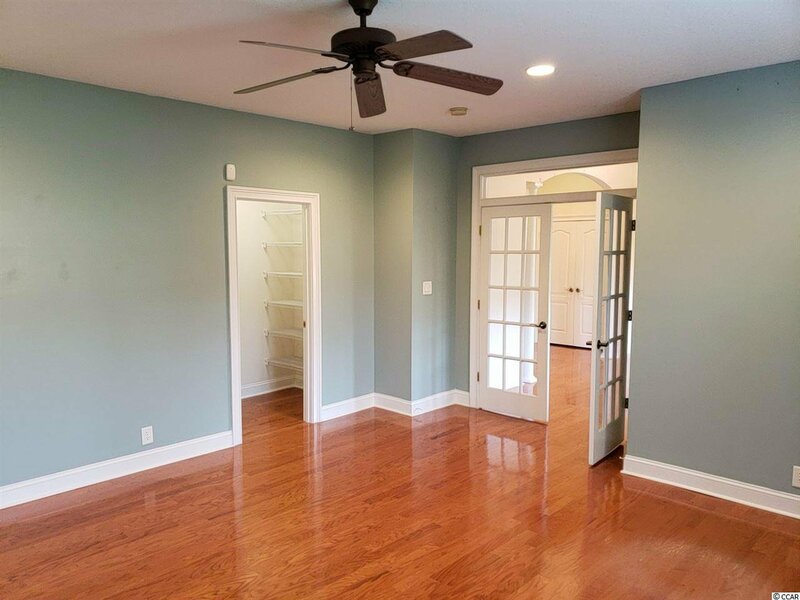 Full Video Walk through available upon request MLS prevents posting on their site. 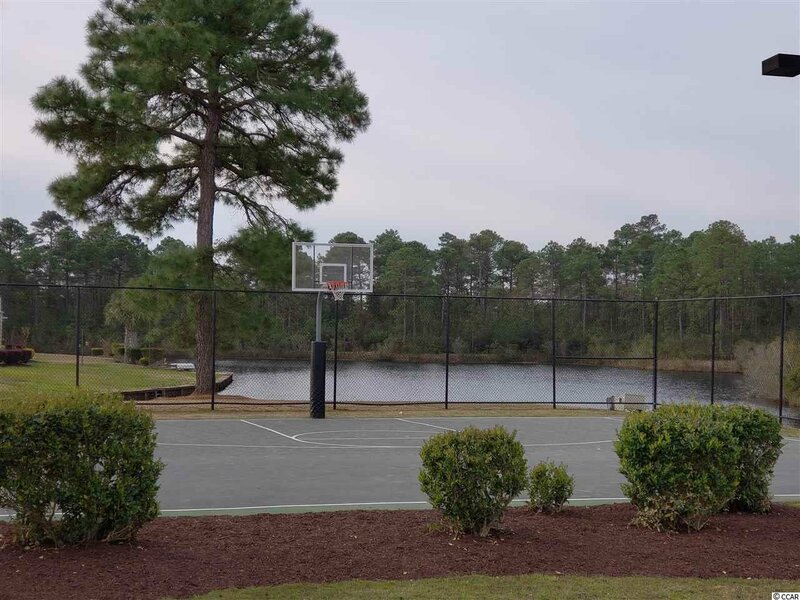 More about Plantation Lakes sidewalks throughout the neighborhood perfect for walking, biking and jogging safe from traffic. 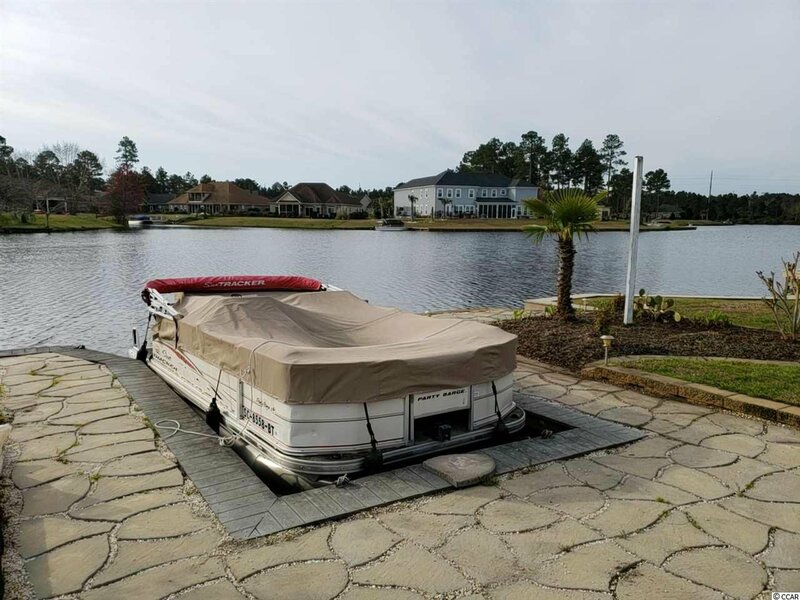 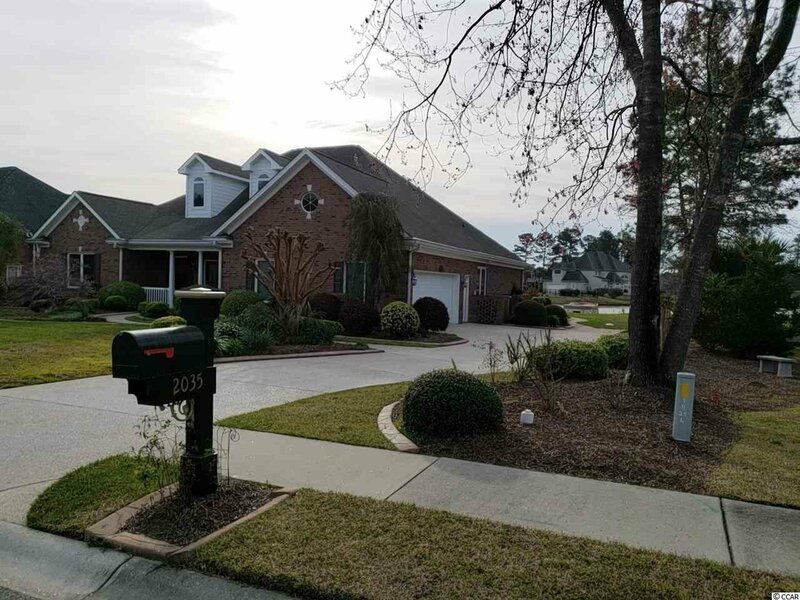 The neighborhood boasts one of the largest contiguous and navigable residential Lakes in Coastal South Carolina; 2035 Woodburn Drive has a dock and boat that can be purchased separately on this lake. 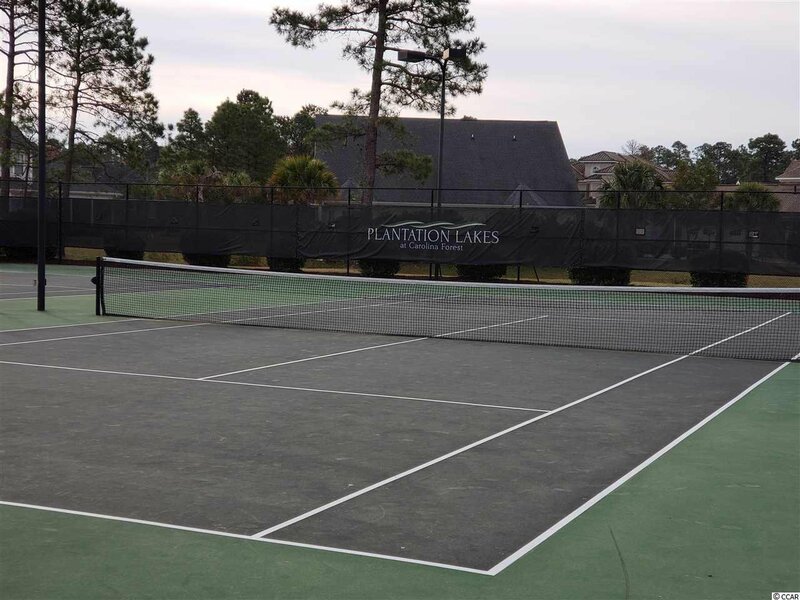 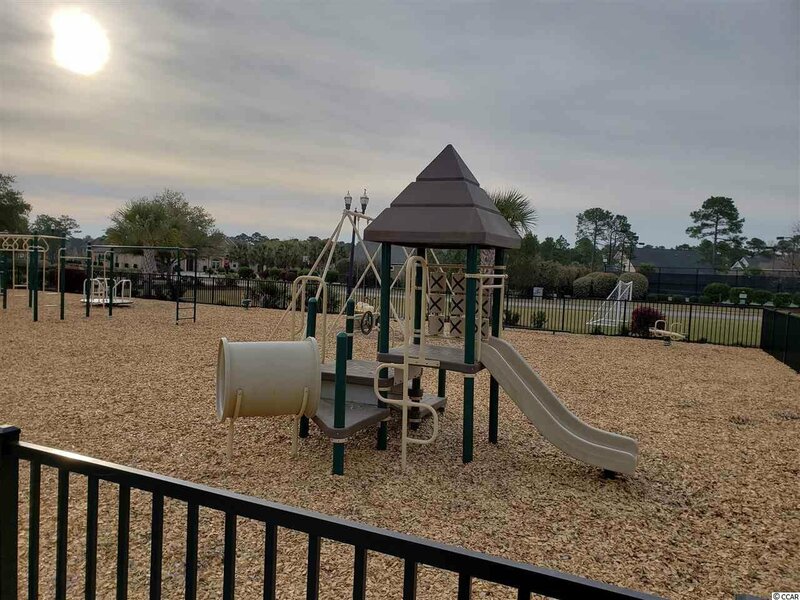 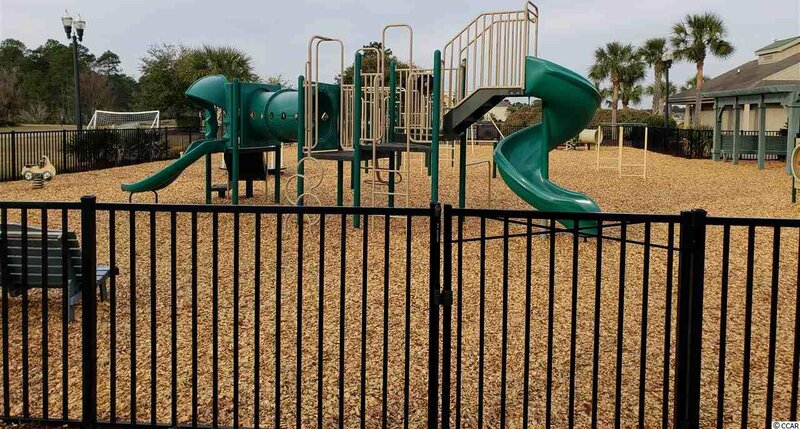 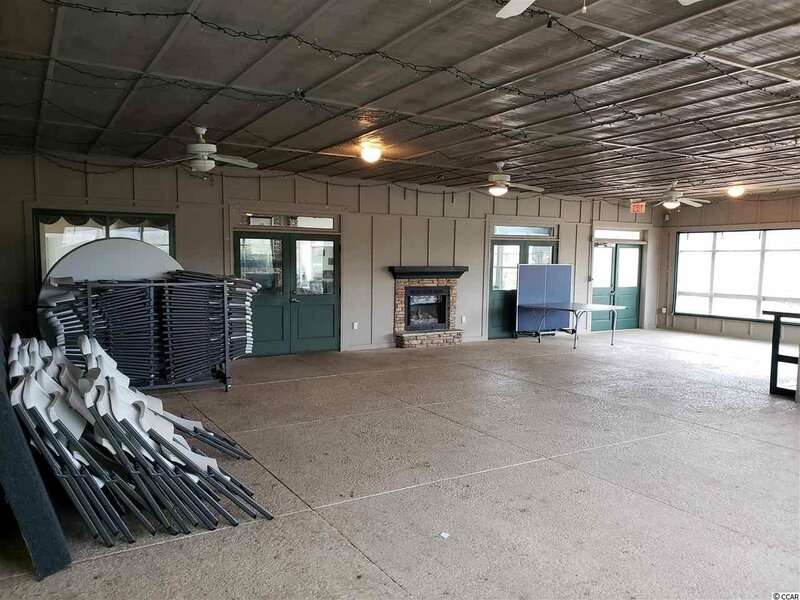 There is a world class amenity center with tennis courts, pools, horseshoes, fitness center, basketball courts, event spaces and full kitchen exclusively for residents of the Plantation Lakes community. 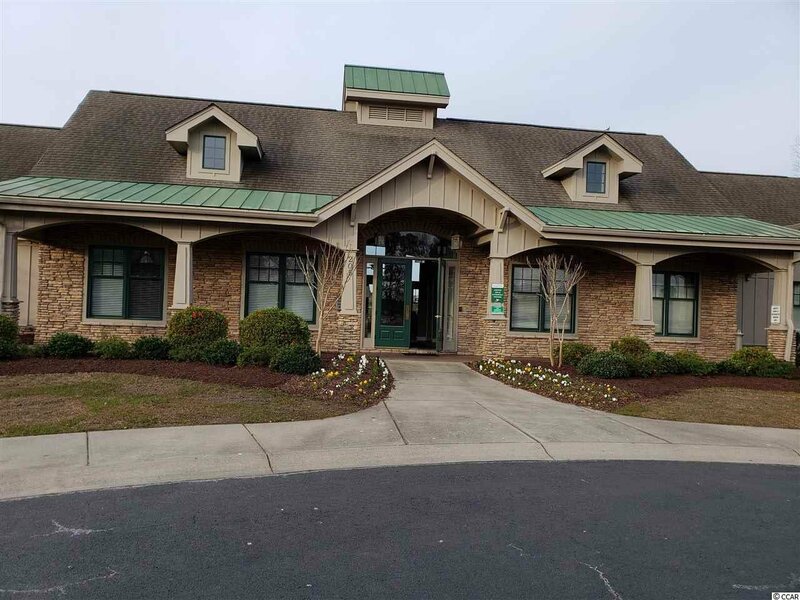 Full video walkthrough of the home and Amenity Center are available upon request.